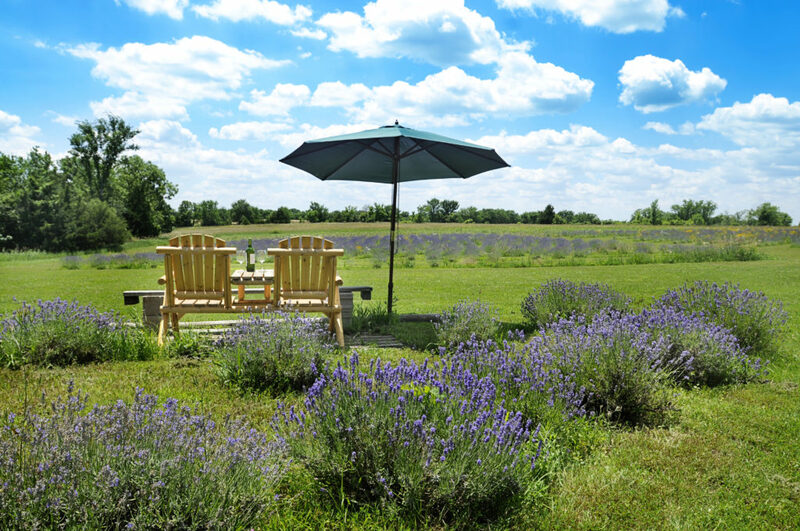 Lavender thrives on the rural property of Jack and Kathy Wilson, east of Lone Star Lake. The Wilsons' lavender fields have grown from 10 plants to 100, and now 2,000 plants for this year. The Wilsons say lavender is a hardy plant and will grow with very little water. Sydney, Murphy, Bo and Sheba are all present and accounted for. They all want a moment to greet any visitor who treks way up to the top of their secluded rural retreat, nestled high in the rolling Kansas hills south of Lawrence and just east of Lone Star Lake. Life is good for all the rescued dogs who have the run of the place here at Washington Creek Lavender. Love just resonates out of all the living creatures on this hilltop – particularly the human variety. Jack Wilson is so smitten by his wife, Kathy, and her accomplishments that Sydney – who happens to be a deaf dog that reads hand signals – barks in jealousy whenever Jack hugs Kathy. Sydney is very busy barking. Kathy, a former food photographer, and Jack, a TV and video producer, moved to this hidden rural gem in 2004 after residing in Chicago for many years. The land had been in Kathy’s family since the 1940s, when her grandmother used to live down the road. The duo planned and constructed a beautiful log home that sits in a stately manner among the forested hilltop. After the last log was secured into the Wilson’s unique house, Kathy and Jack scratched their heads and began to contemplate what they might do with the rest of the land. They knew they wanted to grow or raise something, but what? In a three-year period, the Wilsons’ lavender fields have grown from 10 plants to 100, and now 2,000 plants for this year. I wondered why we don’t see fields of lavender around this area. As we trod even farther up the hill with two dogs nipping at our heels, the breeze begins to stir as we emerge from the wooded path to an open apex at the top of their property. There the fields of lavender have taken root. 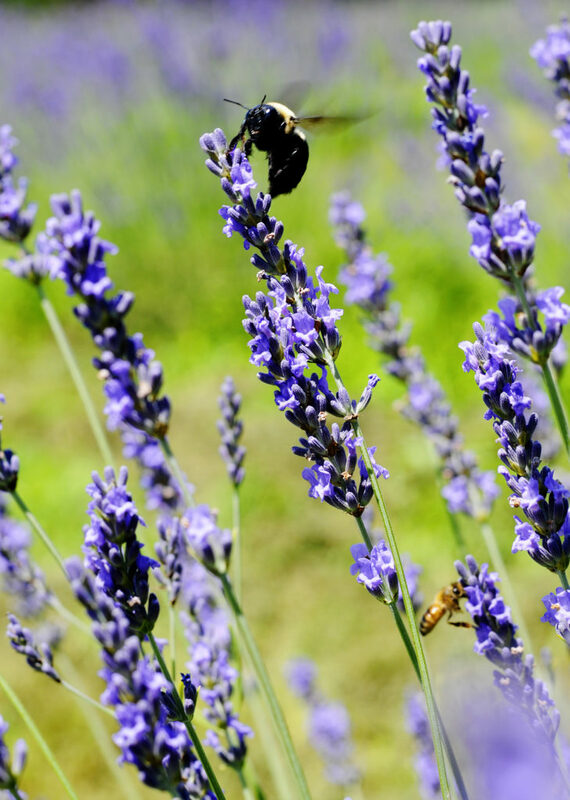 Lavender prefers lots of air movement and this crest is a perfectly situated area for the plants to flourish. 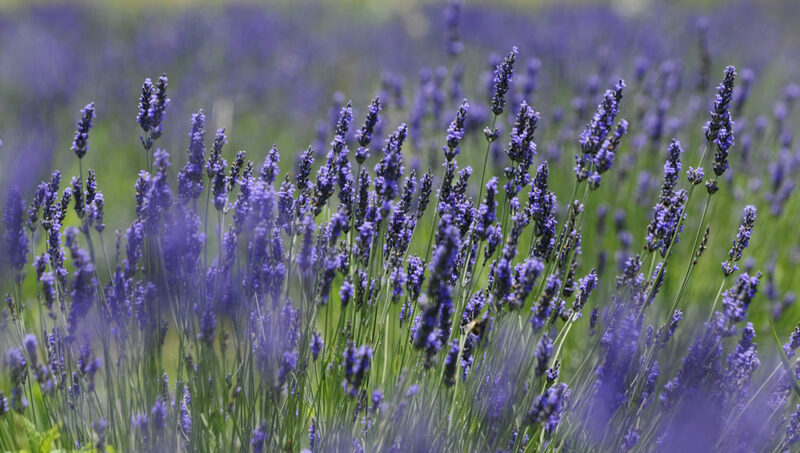 The starter plants, of the Grosso variety, are purchased from a breeder in Illinois and, unlike most crops, lavender is planted vertically instead of horizontally for the rain run off. The plants are also sown on approximately 5- to 6-inch-high rows of mounds again for drainage purposes. Last year the couple ran out of lavender because they had so many repeat customers at the Lawrence Farmers’ Market. Kathy muses about a patron. Since the lavender is just now blooming and being harvested, the Wilsons will begin selling at the Farmers’ Market again in the fall. 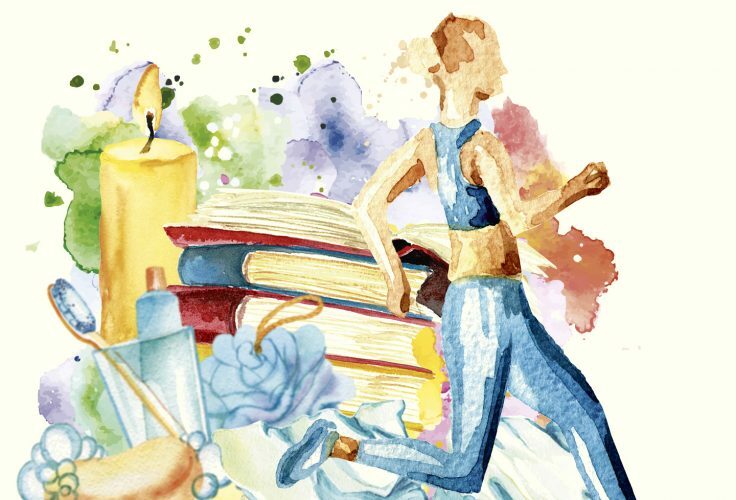 They use every part of the lavender plant, making lavender wands with neatly weaved ribbons, eye pillows stuffed with lavender, sachets and laundry dryer pouches. They have created a tea ball with lavender for bathing and even a moth repellent with a mix of rosemary, dried lemon peel, lavender and other herbs. They even use the sticks, which make wonderful fire-starters and are a hot seller for the couple at the Farmers’ Market. The couple has found a grand use of this spacious hilltop land. They have a pairing of Adirondack chairs perched with a perfect view of the rows of purple and silver. An umbrella stretches out over the chairs and table where they spend numerous evenings savoring a bottle of wine and soaking in their labor of love. The bees and butterflies flit back and forth from one plant to the other in some sort of a pollen-collecting nirvana.